GREENVILLE – Garst Museum will pay tribute to veterans at 2 p.m. Nov. 10 with a special Veterans Day program focusing on the 100th anniversary of World War I. The program will include featured speaker Jonathan Winkler, professor and chair of the Department of History at Wright State University. A native of Ohio, Winkler is the author of “Nexus: Strategic Communications and American Security in World War I” (Harvard University Press 2008/paperback 2013) and winner of the Paul Birdsall Prize of the American Historical Association (2010), the Distinguished Publication Award of the Ohio Academy of History (2009) and the Theodore & Franklin D. Roosevelt Naval History Prize awarded by the FDR Presidential Library, the Roosevelt Institute, the Theodore Roosevelt Association and the New York Council of the Navy League of the United States. He has delivered lectures before the American Philosophical Society and at the National Security Agency. He teaches, researches and writes on U.S. foreign relations (1776 to the present), military and naval history, international history and strategic thought in the modern era. Garst Museum will honor the service of local veteran Forest Marshal, who was a WWI aviator. The public is invited to this special program to reflect and remember the sacrifices made by veterans to protect the nation’s freedom. All lectures are free and open to the public. 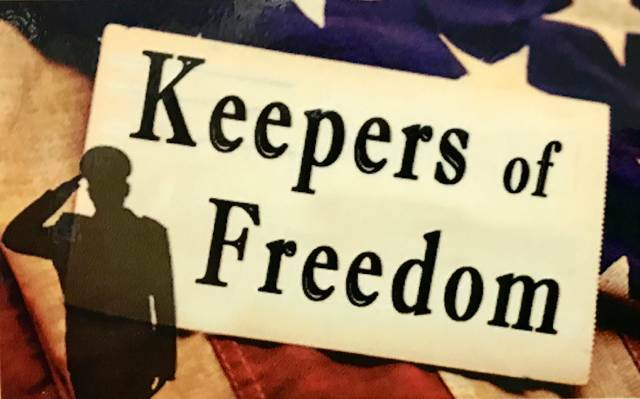 However, regular admission will apply to tour Garst Museum, which includes the National Annie Oakley Center, Crossroads of Destiny, Lowell Thomas, Keepers of Freedom and Longtown exhibits. Funding for this program was made possible by the Harry D. Stephens Memorial, Inc. Foundation. The Garst Museum is located at 205 N. Broadway, Greenville. For more information, call 937-548-5250, email www.information@garstmuseum.org or visit www.garstmuseum.org.